The launch of Ross Jones' new book, Ashbygate: The Plot to Destroy Australia’s Speaker, is adding to already mounting pressure for the resignation of Special Minister of State Mal Brough over his involvement in the affair. 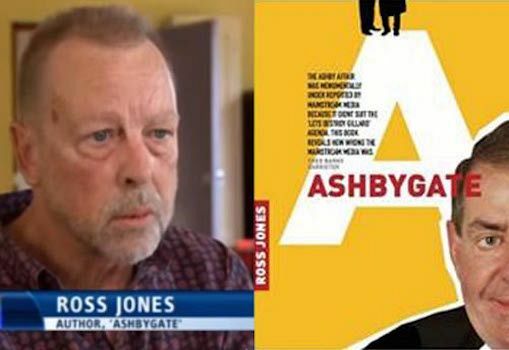 FRESH FROM his appearance on the ABC’s 7.30 programme (2/3/15) author and private investigator Ross Jones steps into the lion’s den to launch his new book Ashbygate next week, right in the heart of Mal Brough’s Sunshine Coast electorate of Fisher. Along with fellow Sunshine Coast resident James Ashby, former Speaker of the House of Representatives Peter Slipper’s controversial staffer, Special Minister of State Brough was raided by the Australian Federal Police last week. Since that time, the minister ‒ whose portfolio responsibilities include parliamentary integrity ‒ has faced a torrid cross-examination in Parliament from Labor Shadow Attorney-General, Mark Dreyfus QC. With Brough denying in Question Time yesterday he had asked James Ashby to procure copies of Slipper’s diary – despite telling Liz Hayes from 60 Minutes the exact opposite last year – pressure mounts daily for him to resign or step aside. The official launch on 10 December of Ross Jones’ searing new exposé Ashbygate: The Plot to Destroy Australia’s Speaker in Caloundra, in the heart of Fisher, will only add to his woes. While there's been no adverse findings against Brough yet, the weight of evidence that's mounting up against him is significant and we've got to remember that other parliamentarians have stood aside when they're under investigation without charges actually being laid. I don't think that Turnbull has any choice at all but to cut him loose and cut him loose as quickly as he can. The book Ashbygate, first published by Independent Australia in October 2015, is the result of a two year investigation by Ross Jones, a licensed private investigator. The costs of the investigation were paid for by a novel crowdfunding initiative, with more than 400 private citizens concerned about the circumstances of the alleged “Ashbygate” conspiracy, contributing over $50,000 to investigate the affair. In forensic detail, Jones outlines a political conspiracy going far beyond Brough, right into the upper echelons of the Liberal Government, including several of Prime Minister Turnbull’s key backers. Ross Jones’ new book ASHBYGATE, will be officially launched at 10.30 am, 10 December 2015 at the Shearwater Resort, 79 Edmund Street, Caloundra. You can purchase your copy of Ashbygate as an eBook or paperback by clicking HERE or on the image below.